So you’re living the life on Grace Bay Beach in Turks and Caicos. The section of beach you’ve chosen is in front of the Cabana Bar at the Ocean Club Resort. As you peruse their drink menu, there is one cocktail recipe that jumps out at you. You ask the bartender for a Koo Koo Cabana. The bartender leans forward and shares the secret recipe. 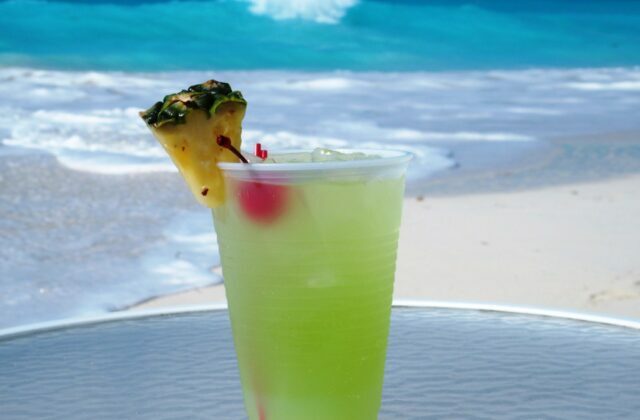 The problem is, when you make the cocktail at home, you won’t be basking in the beauty of Grace Bay Beach. Just the same, why not share your drink story and drink recipe with friends? Shake. Serve in a tall glass with a slice of pineapple and cherry.